It has come to our attention that Norton Internet Security and Norton 360 software can interfere with the smooth running of the update process, and there have also been occasions where other anti-virus or firewall software have caused issues. 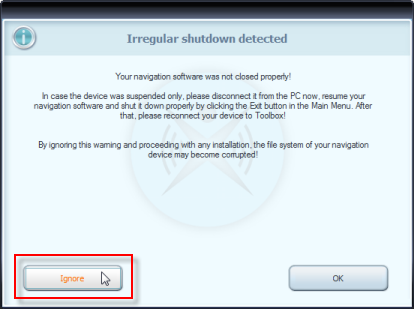 If you experience difficulty getting the Naviextras Toolbox software to recognise that your device is connected, it might be worth disabling the software for the duration of the update, and then re-enable it after the update process is complete. Most software of this nature has the facility to let you suspend it for a set time period (eg. 10 minutes), and then automatically re-enable it once that time period has expired. 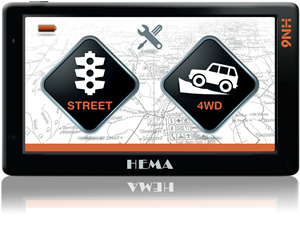 Specify your device Model as Hema Navigator HN6 when you create your account. Go to the naviextras website to download the Toolbox software: https://www.naviextras.com/shop/portal/downloads NOTE you cannot download the software until you have registered and logged into your account. Push the Reset button on the Navigator using the stylus. This will re-boot the HN6 to the main (Street & 4WD) page. Plug in your Navigator. REMEMBER! YOUR NAVIGATOR MUST BE IN MASS STORAGE MODE FOR NAVIEXTRAS TOOLBOX TO RECOGNISE IT. See this Knowledgebase Article for details. Log in to your account. naviextras Toolbox options can be set so that in future sessions it will log you in automatically. Do you want to purchase maps for other countries? Click the Related Articles link below showing the process of purchasing additional content.